We've been married for 19 years. About every 10 years - we renew the contract. The icon you clicked on to get to this page was from our 10 year vow renewal. The pictures scrolling above are pictures of our 19 year vow renewal 2016. 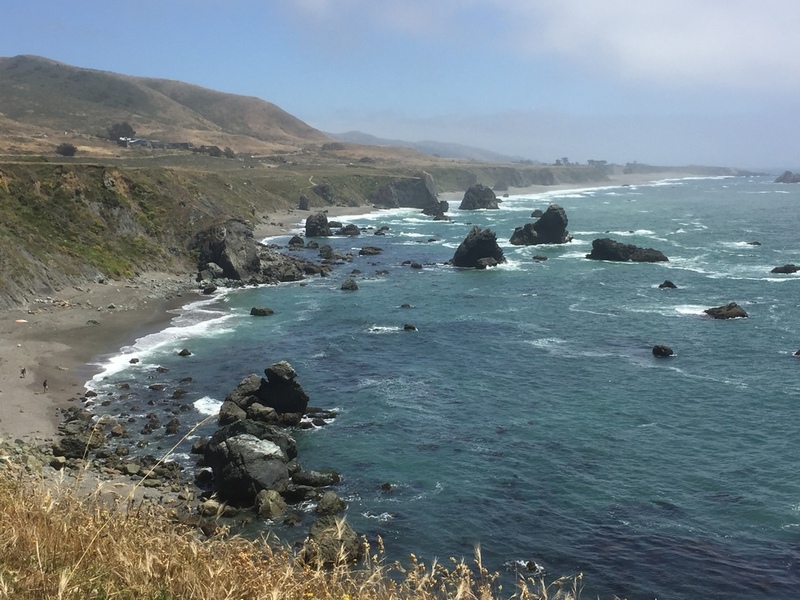 We decided to fly out to Jenner, CA - bring our daughters this time - and say "I do again" on the same cliff we did almost 20 years ago. The spectacular view is still the same, and was a gorgeous backdrop for our ceremony and our simple seaside picnic reception. 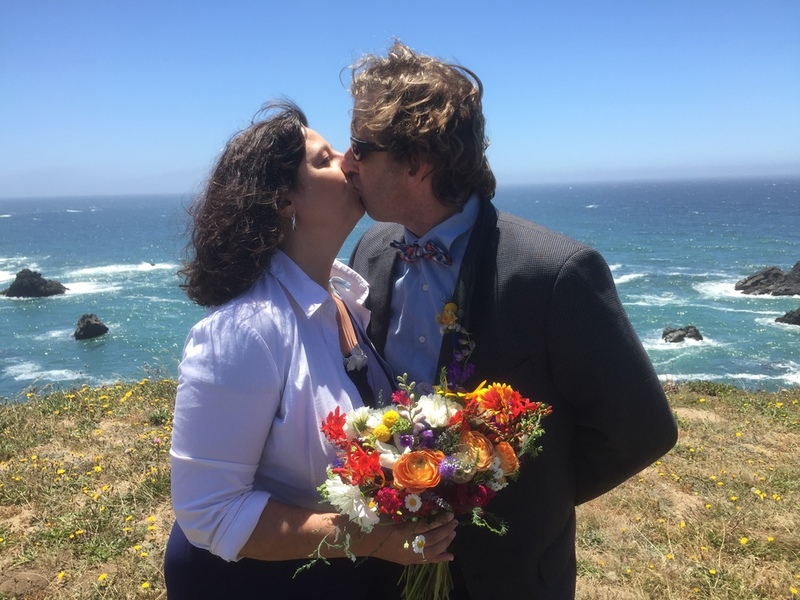 Our traditions, the seaside setting, our family, the wildflower bouquets, and vow renewal pie- is a perfect translation of us. Let us uncover and help you to create the perfect translation of you and your story! Shawn is an artist, designer, director, and entrepreneur. Seven years ago Shawn had an idea to take hand drawn images and transfer them onto china. She then personalized and hand applied custom images and text to each piece, creating custom dessert sets and cake plates. Shawn's custom pieces and designs have been part of weddings, anniversaries, house warmings, and baby's first birthdays nationwide. Her work has been featured in New York Times, Wedding Style Magazine, Emmaline Bride, Borrowed and Bleu, Huffington Post, Real Simple, and Apartment Therapy. Shawn also has an MFA in theatre. She has worked as an actor and theatrical director for over 20 years. She has produced two Arts Festivals, one Progressive Bridal Fair, and directed over 20 shows coordinating every detail from actors, set design, lighting design, marketing, and house management. Shawn is bringing her experience as an artist and her producing talents together in Happiest Days Designs Wedding and Event Planning. This opportunity allows her to create amazing weddings and events that have an artistic cohesiveness, run smoothly on -budget, and reflect each couple's love story. Kevin is an artist, carpenter, and math whiz! Kevin will assist with set up and general assistance as needed. He is great with setting up chairs, moving heavy objects, and taking candid pictures.